KARUMA, Kiryandongo – The Prime Minister, Dr Ruhakana Rugunda, has commended Chinese investors for their contribution to Uganda’s infrastructural development. Speaking during a visit of Karuma Hydropower Project in Kiryandongo district by National Resistance Movement’s (NRM) Central Executive Committee (CEC) members on Friday, Dr Rugunda said without the Chinese investors, the country’s infrastructural development level would not be where it is currently. 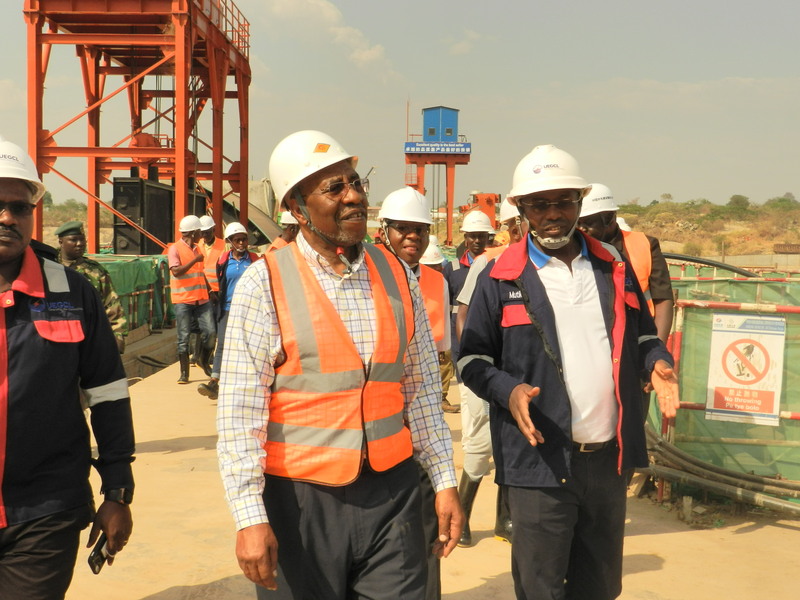 “I want to salute the Chinese investors and its workers for the time they gave Uganda in undertaking these developments (construction of Karuma and Isimba HPPs) and other projects because I strongly believe we are on course for the middle-income status,” Dr Rugunda said. Dr Rugunda also advised foreign, regional and local investors to consider massive investments in the country since the two power projects have reduced on the challenge of limited power supply to different parts of the country. “Now that Karuma and Isimba are to begin producing power, I, therefore, invite and welcome local, foreign and regional investors to come up confidently because power inadequacy as the main bottleneck to Uganda’s economy will be no more,” he said. The NRM CEC members were on their way to Chobe Safari Lodge in Murchison Falls National Park for their four-day retreat. They were welcomed by Eng Dr Harrison E. Mutikanga, the chief executive officer of the Uganda Electricity Generation Company Limited (UEGCL), who later led them on a guided site visit to the dam and intake, switchyard, underground powerhouse, transformer cavern, surge chamber and lastly to the Permanent Employers Camp. Dr Mutikanga told the visiting delegation that Karuma HPP could not be finished in time due to bottlenecks in procurement and bad weather. “This plant was meant to operational by now but it couldn’t due to challenges in procurement protocol of the materials and heavy rainfall. We couldn’t cast concrete on wet surfaces, it prolonged the completion time,” he said. Mr Richard Todwong, NRM’s deputy secretary general, said the decision to visit Karuma HPP site was derived by the need for CEC to see the progress of the dam. “Adequate power supply is one of our key promises to Ugandans and therefore coming to this plant was very key. We have moved around the country and seen several projects being undertaken by the government and we are impressed by the progress so far achieved,” Mr Todwong said. Karuma power dam physical progress as of February 2019, according to UEGCL, stands at 91% and is expected to be complete by December this year. Once complete, the multi-trillion dollar project (USD1.7bn) which construction is being undertaken by the Chinese company Sinohydro Corporation, will have an installed capacity of 600MW. The construction works of the project supervised by UEGCL commenced in December 2013 after it was launched by President Museveni.